Jessica Fediw learned a little bit about sewing from her mom and grandmother when she was little, but didn’t really take to it until she was about to finish college. Then she filled in the gaps in her sewing skills by teaching herself from books and information on the Internet. The stay-at-home mom of a two year old daughter now enjoys using her skills to create beautiful handmade and upcycled children’s toys, hair accessories, handbags, earrings and other neat accessories that she sells in her Happy Together Etsy store. This adorable hot pink octopus for example, is a Happy Together original that can be ordered in any color. She also shares wonderful tutorials for a wide variety of craft projects on her blog and has quite a fan following for her unique wearable ideas. Jessica loves being able to earn a little extra cash from home to spend on her daughter. Her husband is in the Coast Guard and his hobby is creating music, so the two share a room in their home where they can both spend time together working on their individual creations. Goals for her Happy Together business include creating a wider variety of inventory for her Etsy store, adding children’s clothing, and just continuing to have fun with her business. Visit Jessica’s Happy Together Etsy store to check out her wares, and be sure to stop by her blog for some inspiration for your next project. In the current economy everyone is looking to save some money, but the marketing budget is one of the worst things a business can cut in a downturn. It’s tough to spend on advertising though when other bills are getting harder to pay. Well here are four ways you can market your business for cheap or free, so save some bucks while reaching as many potential customers as possible! Everybody loves a contest and they’re a great way to gain visibility. Give away a product or a service of your own, or partner with another business that complements yours. This is a great way to come up with an even better prize package without blowing your own budget, plus you get more help spreading the word. Most everyone is concerned about saving money these days. Promote your most inexpensive products, or find a way to repackage some of your best selling products or services so that perhaps they don’t include as many bells and whistles, but you can afford to sell them for less. It’s especially important these days when so many people are watching their money so carefully to help your customers feel more comfortable about buying from you. Give them a satisfaction guarantee or warranty of some sort so your customers will know that you stand behind your products. Keep in mind that although there are some folks out there that might try to take advantage of extended money back guarantees, it could be even more harmful (and costly) for you if an angry customer went online and started bad mouthing you in chat rooms, forums and online reviews. So why not do what you can in advance to keep your customers happy? Popular sites like Facebook, Twitter and FriendFeed are good for more than just socializing with your friends and family. These sites can help you reach millions of potential customers for free! Use these tools along with other social media like blogs to provide tips and information of use to your target market to help expand the reach of your business. You don’t have to spend all of your time tweeting or blogging, but be sure to be consistent. Don’t tweet 10 times one day and then skip a couple. Update your blog or Facebook page at least once a week, and if you decide to Twitter as well, then plan to tweet at least once a day. 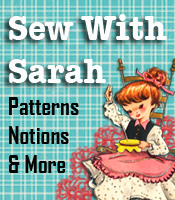 For those of us in the sewing and crafting business, anytime we can come up with new and different ideas for things to make and sell is always a bonus. You never know what you might have hanging in your customer waiting area will be the next big “hit” for your customers. Sometimes finding deals at stores, Good Will and/or flea markets and using those garments to “remake” into other things is what I love to do. Here are a couple of ideas for you to check out — they might be your next best selling items! 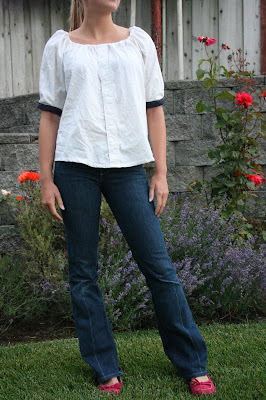 A peasant blouse from a man’s shirt! This is really awesome – not hard to do with the tutorial provided by MyMamaMadeIt blogspot. I think I might just make a couple for my pre-teen neighbor’s daughter. This should be a very good test of the idea. Personally I think it looks great. Then you can always do some of the Men’s t-shirts into women’s casualtops as we’ve shown you before. Anyway you look at it, using inexpensive Good Will shirts, cheap t-shirts, etc into other items for women and children is always a good thing —- and possible money makers as well. I’m all in favor of repurposing garments to add to my customer waiting area for others to see and buy! The bi-monthly online magazine, Viva La Moda, showcases innovative fashion and handmade items from around the web and beyond. The magazine features articles about “green” products, home decor, and toys in addition to product and fashion reviews. This month’s edition includes pin up inspired hair accessories, kids trends, summer beachcombing seaglass designs, birthstone finds for July and August birthdays, plenty of terrific vintage and handmade items, plus a neat “Shop & Tell” section where readers are invited to write in with their own reviews on handmade or vintage items they’ve bought. The magazine is all about enjoying fashion and supporting indie designers and crafters who make things with their own hands so we’d like to encourage you to support the magazine. Visit Viva La Moda today and check out all the beautiful products and designs featured this month. Be sure to subscribe while you’re there so you won’t miss future issues, and then help spread the word! Hot Denim Styles of the Season Plus a Chance to Win!